Learn the chemistry behind how nutrients move through the soil, and how they are taken-up and utilized by plants. You’ll also learn how your plants may be deficient in nutrients that you apply in abundance. Many popular myths about fertilizer application will be debunked. 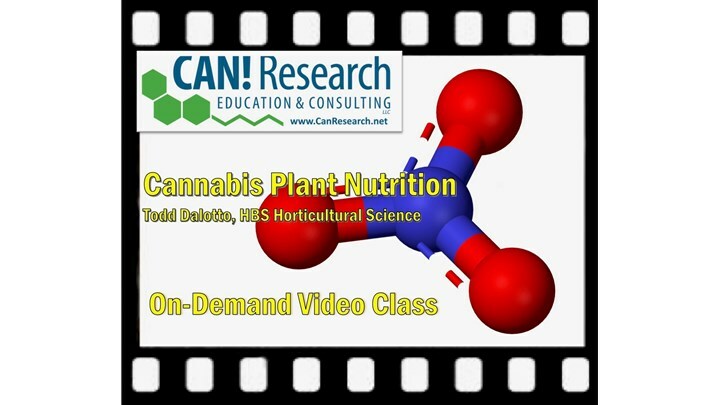 This is the fifth class out of ten in the Cannabis Horticultural Science Course, a 10-week, 20-hour course that provides overviews of core horticultural science topics as they relate to Cannabis sp. for medicine and adult-use. Designed for all levels of scientific comprehension and suitable for those without a scientific background. It’s an excellent foundational learning course in horticultural science, as well as an effective employee training and credential-building resource.